Strona główna > Fototapety>Tematy>Kosmos>Seamless space pattern with space, rockets, comet and planets. Childish background. Hand drawn vector illustration. Fototapeta Seamless space pattern with space, rockets, comet and planets. Childish background. Hand drawn vector illustration. 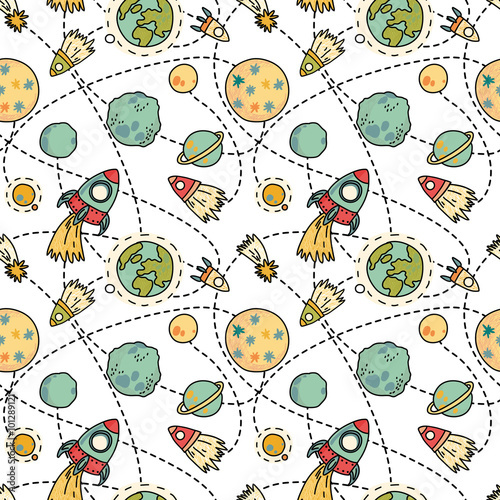 Seamless space pattern with space, rockets, comet and planets. Childish background. Hand drawn vector illustration.